Would you ever set the table for a spider? Of course not! But you might be surprised to find out you’ve been inviting spiders inside your home without even knowing it. If your home contains any of a spider’s favorite foods, can you blame them for coming in? You may think, “I don’t care what spiders like, I don’t like them, and I never want to see one!” Knowing what a spider likes will give you a leg up when it comes to keeping them away. 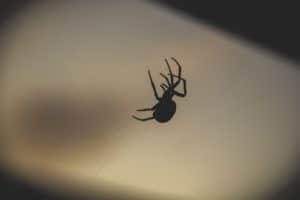 Find out what kind of food attracts spiders, so you can make sure your home stays spider free. Most of the spiders you come across are harmless. Spiders generally prefer to lead solitary lives, avoiding human interaction. 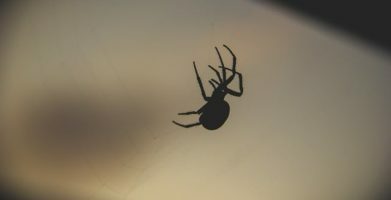 If you do encounter a dangerous spider, knowing how to react and when to seek medical attention can help you prevent or avoid serious harm or injury. Almost every spider is a predator. Most spider food is made up of insects, but there are some larger exotic spiders which can eat small animals such as lizards, frogs, rodents or birds. Common house spiders – the ones you’re most likely to encounter – eat insects that you don’t want to find around your house. Spiders are the original pest control pros, and they’re doing you a favor by catching flies, mosquitoes, moths and other insects in their webs. Collectively, spiders eat hundreds of millions of tons of insects each year. Can you imagine what the world would be like without spiders helping us to get rid of bugs? Spiders don’t need to eat often, and can survive weeks without food. However, if food (insects) is plentiful, spiders will eat frequently. Spiders get the moisture they need from their food, but they tend to hang out near water sources because that attracts their prey. You’re probably familiar with spider webs, which spiders use for catching insects to eat. You may be surprised to learn that spiders don’t have teeth though, and they can’t eat the way you or I do. In addition to their eight legs, spiders have two small appendages near their mouth that are called pedipalps. The pedipalps hold a spider’s prey in place while the spider bites it with its fangs. The fangs inject venom into the insect that liquefy its insides. Then the spider is able to drink its meal like a powerful protein shake. After a spider is done eating, the insect may look normal to you, but all that remains is an empty exoskeleton. As you can see, spiders aren’t attracted to the foods we eat. However, our food can attract the insects that spiders eat. The best way to get rid of spiders is to get rid of their food source. 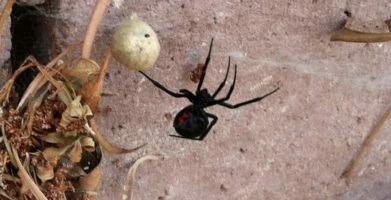 If you still think sharing your home with a spider is not for you, click below to find out how to get rid of spiders. 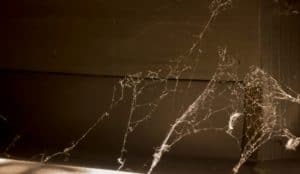 You can use what you have learned here to prevent spiders and other household pests without bringing harmful chemicals into your home. Natural pest control and prevention is safe and effective, plus it’s friendly to people, pets and the planet. string(55) "What do Spiders Eat - The Diet of a Common House Spider"